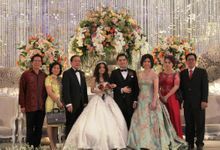 Martin and I held our wedding reception on 29th July 2018 at Angsana Ballroom Holiday Inn Kemayoran. 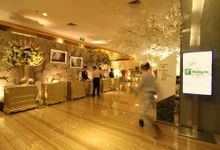 From mid 2017, we tried to find the best choice that accomodated lots of our preference in terms of hotel reputation, location, budget, ballroom capacity for sitting dinner, food, hospitality and also communication with the sales representative. Thank God we were able to book one of the timings available. We were shocked that lots of couples booked too early for some preferred auspicious wedding dates, and I know there are lots of good reasons why other couples and we want to hold our wedding here. Thanks to Ci Kitry who is always nice and dependable for answering lots of my queries. She is really the best representation of Holiday Inn Kemayoran. Thanks a lot Ci for accommodating lots of queries, and thanks for your help for preparing our special day. This review is 6 months-late (so sorry for this), but still can remember good memories of that wedding day. Thanks a lot Ci Kitry and all staffs for that special day! 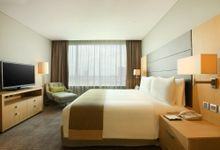 We would love to spend some nights in Holiday Inn Jakarta Kemayoran again someday. 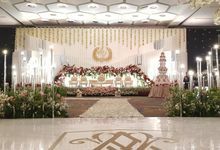 My family and I had previously attended two wedding receptions at Holiday Inn Jakarta Kemayoran, and we were always impressed with the food. We know that guests will mostly focus on the food, so we chose HIJK as our wedding venue. The Angsana Grand Ballroom was very spacious with high ceilings and no big pillars in the middle of the room. Around 900 guests arrived that evening and the ballroom could fit all of them comfortably. We were fully supported by the ever-patient Ms. Kitry throughout the planning process, who kindly answered all of our questions. Special thanks to Chef Agus who also provided us with a recommended, well-balanced menu. We had a great discussion about the quantity of food to ensure that there is enough food for all guests and family members. 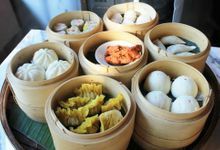 The food was universally praised by the guests and they all agreed that the reception was a huge success. The audio-video system was flawless as well. 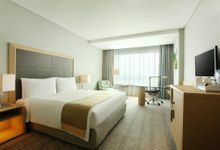 Overall, we were highly satisfied with Holiday Inn Jakarta Kemayoran team. There is an amazing value for money, especially when compared to other popular wedding venues. Keep up the great work and we wish you all the very best in the future. 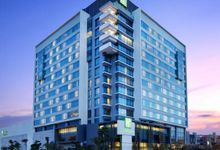 We choose Holiday Inn Jakarta Kemayoran for our wedding day because the venue was spacious, since our guest around 1.500 person, and its fitted very well. Also the food was surprisingly delicious! Big thanks to Kitry, that help us arrange everything and so patient listen to our request. 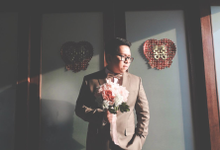 We want to say thankyou to Holiday Inn Jakarta Kemayoran to make our wedding very special! 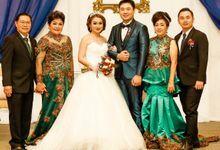 We held a wedding reception at Holiday Inn Jakarta Kemayoran on 7 July 2018. All the guests said the foods were very good. Parents and relatives say the rooms are comfortable. Thanks especially to Kitry for her help from the start of the preparation until the D day. Highly recommended for have your wedding here. Lokasinya dekat dengan tol jadi gak usah takut macet dan cepat kemana-mana. Ruangan dan fasilitasnya Bintang 4, jadi gak usah takut jelek dan yang pasti keluarga dan tamu puas. 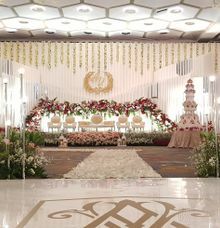 Ballroom nya besar luar biasa, jadi walaupun kami punya banyak tamu, tetap tidak sempit. Makanannya menurut teman-teman dan tamu kami, semuanya puas luar biasa dan senang. Acara saya sukses dan lancar, thank you Holiday Inn Kemayoran. 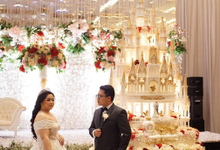 Holiday Inn Jakarta Kemayoran is worldwide 4 stars chain hotel and nowadays come as the most preferred Wedding venue in North Jakarta, The Angsana Grand Ballroom is the largest pillar less with mood lighting and the first in Kemayoran area with capacity up to 2.000 persons. 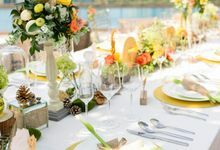 Our dedicated Wedding Specialist and team is ready to deliver top class service starting from preparation to reception. 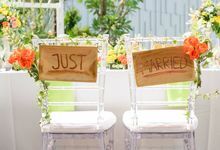 Lots of reasons to choose Holiday Inn Jakarta Kemayoran as your preferred Wedding venue. 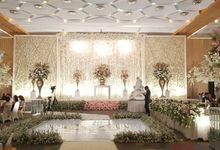 The Angsana Grand Ballroom is the largest pillarless and the first in Kemayoran area with capacity of 2.000 persons. Create your wedding concept and bring it to live in our Hepta-colour transformable mood lighting. 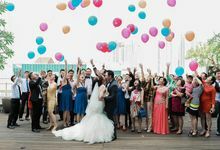 Our dedicated Wedding Specialist and team is ready to deliver top class service starting from preparation to reception. When the big day arrives, you will be able to relax and revel in the joy of celebration. 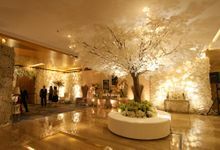 We are located 1.8 km from Kemayoran toll gate and only 20 minutes drive from Mangga Dua and Kelapa Gading giving easy access for all to come share your Big Day. 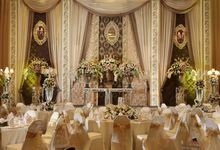 IDR.20.000.000,- for booking fee and flexible term payment 2 weeks before the wedding day. Open in 1 March 2014 and at the moment, we are one of the largest ballroom and preferred wedding venue in the area. 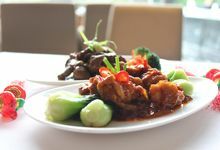 Holiday Inn Jakarta Kemayoran offers a dedicated & experienced culinary team to help you from initial inquiry, menu selections, event theming requirement to delivery and service at your event, to make your life easy and bring memorable experience. whatever the size of the event, we know how to transform your special event into an occasion to remember - anytime, anywhere, any size. 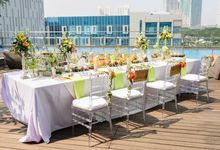 From hosting your product launching to your memorable wedding, you can trust Holiday Inn Jakarta Kemayoran to help you make it a success. 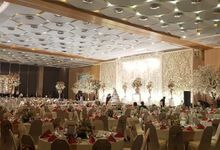 Angsana Grand Ballroom with it's contemporary designed, can accommodate up to 1800 persons. 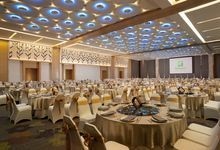 The size of grand ballroom is 1,374 sqm divisible into three rooms, each room can accommodate up to 300 persons with pillar less, latest audio-visual equipment and hitech mood lighting ceiling.